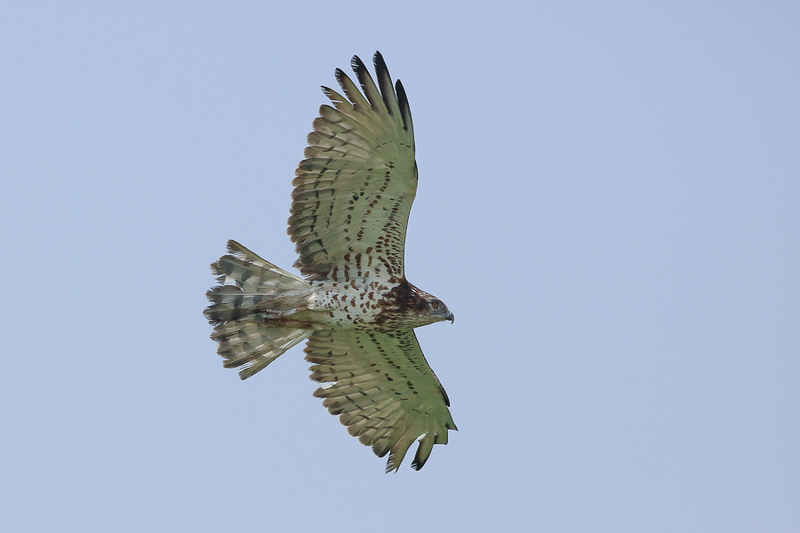 Whilst birding Ash Shargiyah Development Company Farm, near Jubail on 11 September 2015 I saw a juvenile Short-toed Snake Eagle over one of the spray fields. The bird dropped down behind the horizon and looked like it may have landed in the field. We drove around and saw the bird take off and fly away but it then circled around and flew closer before drifting off and being lost from sight. This is a good record as in the Eastern Province of Saudi Arabia the species is a scarce migrant and winter visitor and has only been recorded since 1979 although birds have been seen in all months of the year except July and August. Most records have occurred in March and October & November suggesting most birds just pass through the area although single records in December to February show some birds may winter here. 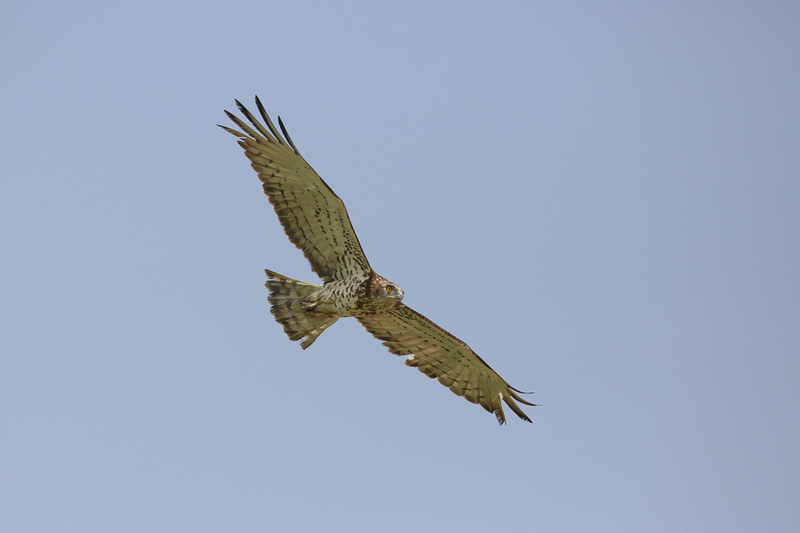 Birds have been seen from the Dibdibah, Nariya and Manifa in the north to Haradh and Jawb on the edge of the Rub’ al-Khali in the south. 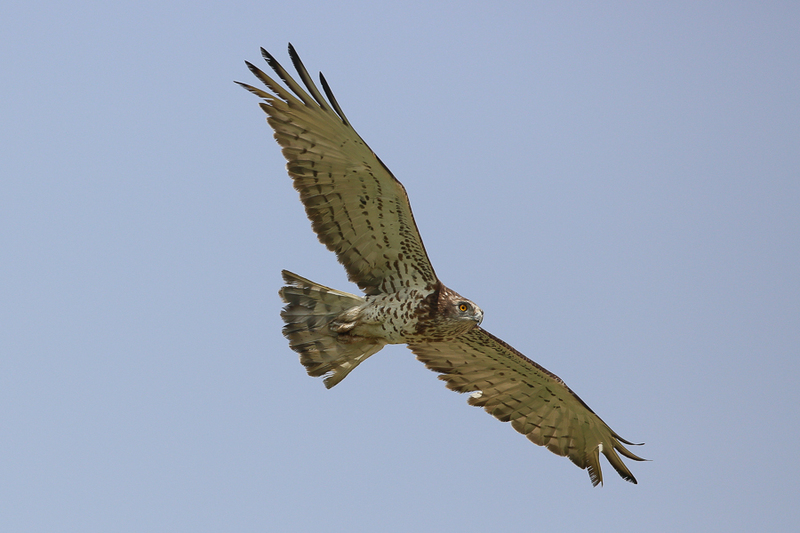 I have seen a few birds whilst being in Saudi Arabia in the Eastern Province including a second calendar year, Dhahran Hills, 31st March 2011, two juveniles, Dhahran Hills, 22nd October 2011, a second calendar year, Dhahran Hills, 11th February 2012 and a second calendar year, Dhahran Hills, 26th March 2013.